Louis Moinet presents Jules Verne Instrument III, inspired by the eponymous author’s acclaimed novel Twenty thousand leagues under the sea published in 1869. In this science fiction adventure, Verne's protagonist Captain Nemo no longer has any ties with human society from which he has chosen voluntary exile. He forsakes dry land, surviving by sea alone, and sails the oceans aboard his Nautilus submarine. Louis Moinet has created a high-precision instrument for Captain Nemo – a loyal companion to accompany him alongside his various locomotive devices in his many confrontations with known and unknown worlds. 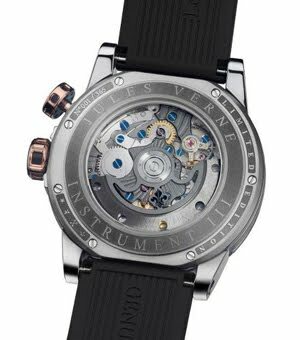 Jules Verne Instrument III is an original and decidedly technological chronograph. 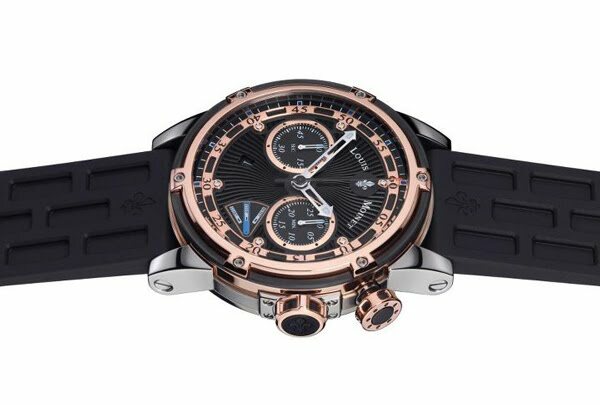 With a central 60-second counter and 30-minute counter at 3 o'clock, the chronograph is operated by an inventive subaquatic-looking monopusher at 2 o'clock, and features an astonishing function indicator - stop, start or reset - at 5 o'clock, inspired by the famous Chadburn telegraph transmitters on historical ships. Meanwhile, central hours and minutes are complemented by small seconds at 9 o'clock. Turning over Jules Verne Instrument III, the display-back reveals the high-precision movement engraved with a Côtes du Jura motif and featuring blued steel screws. 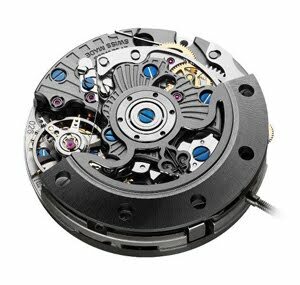 The 48-hour power reserve is generated by a distinctive open-worked, ballbearing-mounted rotor. Jules Verne Instrument III sits on the wrist extremely comfortably thanks to the strong yet light case crafted in Grade 5 titanium, while the blackened lower bezel contrasts neatly with the upper bezel in 18k red gold. The state-of-the-art crown and pusher are a clever blend of 18k red gold and black PVD. The overall design of Jules Verne Instrument III takes its cue from the smooth fish-like lines of the Nautilus - and a supple and comfortable rubber strap is a natural choice for such an aquatically-inspired timepiece.